On the 12th of January, the International Laboratory «Integrated Navigation and Attitude Reference Systems» conducted a workshop on «Frequency criterions of recoverability and predictability in pathwise setting». The lecture was given by Professor N.G. 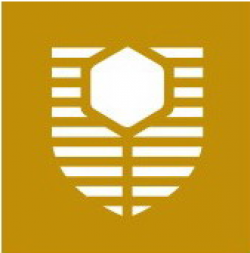 Dokuchaev – associate professor of the Curtin University, Western Australia. The workshop considered the problem of linear prediction and signal restoration of the band limited discrete processes. The feature is that the process is viewed as a unique object, not as a representative ensemble of trajectories with known statistical properties. Linear smoothing techniques were also considered for this types of processes. The workshop was attended by the staff and postgraduate students of the ITMO University Information and Navigation Systems department as well as the staff of the Integrated Navigation and Attitude Reference Systems laboratory. The special guest of the event was famous scientist from St. Petersburg State University A.E. Barabanov. An engineer of the International Laboratory, PhD student of the Concern CSRI Elektropribor, Alexei Nosov: «An unconventional approach to the signal prediction and restoration in the absence of stochastic hypotheses, had prompted lively debate"
Student of the University ITMO Oleg Zaitsev: «The topic has aroused the interest and a wish to learn the material deeper. The relevance of the prediction for the band limited signals is not in doubt». PhD student of the ITMO University Liang Qing: «The overall impression of the new approach to solving this problem is positive, and I would like to study the scope of its application to the problems of our research».